Oil types suitable for any frying application. GOODMAN Fielder Food Services has relaunched a range of vegetable oils under the Crisco brand to meet the needs of food service operators. Approved by the Heart Foundation, the range is cholesterol free, lower in saturated fats and contains good monounsaturated and polyunsaturated fats. 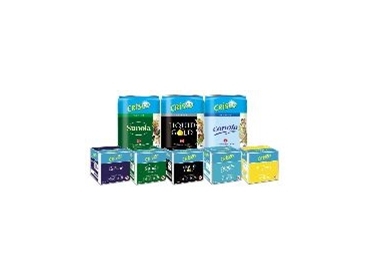 The range includes Crisco Sunola, Crisco Liquid Gold, Crisco Canola, Crisco Sunflower and Crisco Endura. The range offers an oil type suitable for any frying application. The core deep frying oils also offer a longer fry life than conventional oils, giving a better cost per serve. Crisco Endura is a high-oleic canola. It delivers a longer fry life than regular canola, offers greater versatility and has a great taste. The packaging for the entire range has a completely fresh new look and all variants are also available in a 15L bag in box format. The cartons are 100% recyclable, easy to store and lighter to carry, helping minimise the risk of manual handling injuries.